Today marks the very last ChocolaTea (or, as i like to refer it “CharcoalaTea”) review. By that i mean i’m reviewing the last of the rather large batch of tea i purchased at ChocolaTea two years ago. As today’s tea is a tightly wound Black, I’m not worried about the age. I am excited to finally be able to reclaim one of my Tupperware canisters that had been holding only one or two teas for months now. Avoid. Realistically, the only thing i actually like about Black Dragon Pearls is the cleanup. I wasn’t satisfied with either of the liquor shots, so i included both. Black Dragon Pearls (ChocolaTea) ~ loose leaf by Jocilyn Mors is licensed under a Creative Commons Attribution-ShareAlike 4.0 International License. Black Dragon Pearls (ChocolaTea) ~ loose leaf macro21 by Jocilyn Mors is licensed under a Creative Commons Attribution-ShareAlike 4.0 International License. Black Dragon Pearls (ChocolaTea) ~ spent by Jocilyn Mors is licensed under a Creative Commons Attribution-ShareAlike 4.0 International License. Black Dragon Pearls (ChocolaTea) ~ liquor by Jocilyn Mors is licensed under a Creative Commons Attribution-ShareAlike 4.0 International License. Black Dragon Pearls (ChocolaTea) ~ liquor B by Jocilyn Mors is licensed under a Creative Commons Attribution-ShareAlike 4.0 International License. 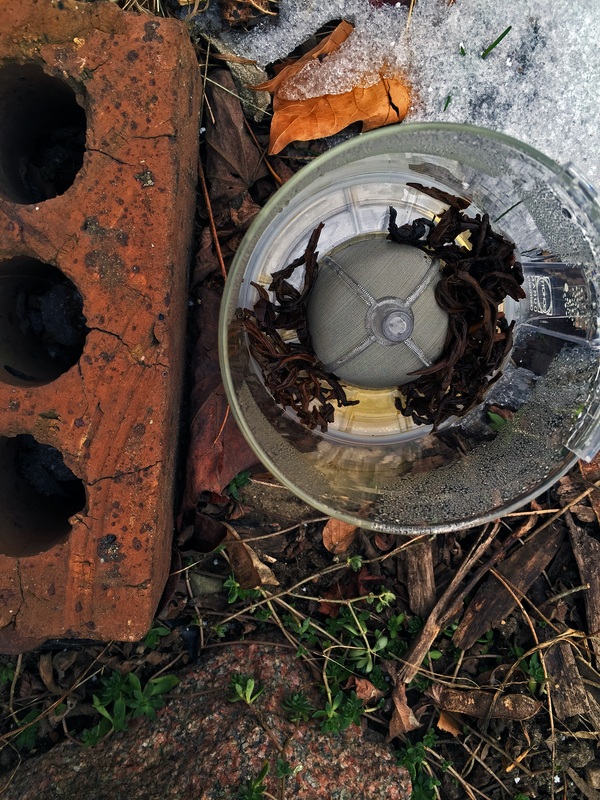 Next Excursion: First 2016 Tea Excursion… Can you guess where?